We continue our look into decorative knots this week with a popular pattern called the Solomon Bar. 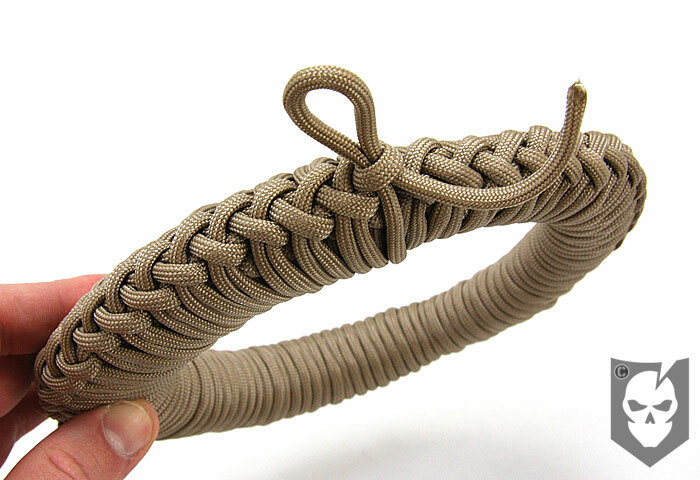 You’ve probably seen the Solomon Bar in paracord bracelets, keychains and other interesting projects, and today we’re going to show you how to tie it, and why it’s a great way to carry paracord. The Solomon Bar pattern resembles repeating square knots and is sometimes referred to as square knotting or a cobra stitch. Using paracord to make a keychain, bracelet or something else you carry daily, will ensure that you always have some readily available in an emergency. 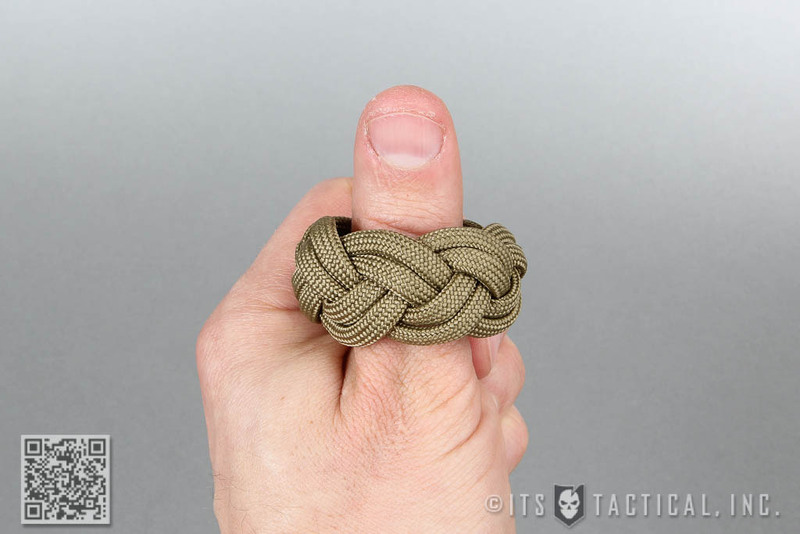 If you remember back to our article on the Mini Survival Kit, we recommended that in addition to the kit, you also carry some paracord with you. 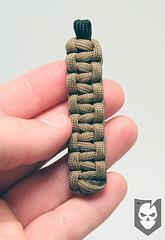 We tied this solomon bar keychain using a 28″ tan length of paracord and a 28″ black length of paracord. The black foundation cord is gutted (inner strands removed) in our demonstration. This was simply to make the keychain thinner. 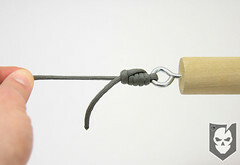 When creating this keychain, the gutted foundation cord can be shortened to 10″ to save paracord. Put it on your keychain and prepare to answer questions on where you got it ! After the keychain is made and ends trimmed, the amount of woven paracord contained in the solomon bar will be around two feet in length. The overall length of the keychain is about 2.5″.